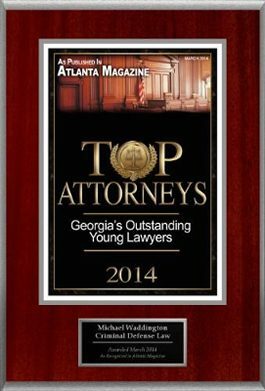 Michael Waddington, a Georgia based lawyer has been named a top attorney in Georgia. FOX News – Feb. 28, 2014 — The 2014 list of top rated attorneys inGeorgia as published in the March, 2014 issue of Atlanta Magazine includes Michael Waddington ofAugusta, Georgia. This distinction is given to only a very small percentage of attorneys each year. The plaque shown above commemorates Michael Waddington’s recognition. To find out more or to contact attorney Michael Waddington of Augusta, Georgia please call 866-969-9860, 706-664-1395, or visit www.ucmjdefense.com.. Following the announcement of Michael Waddington’s selection for Atlanta Magazine’s list of top attorneys in Georgia, American Registry seconded the honor and added Michael Waddington to The Registry™ of Business Excellence. American Registry, LLC, recognizes excellence in top businesses and professionals.